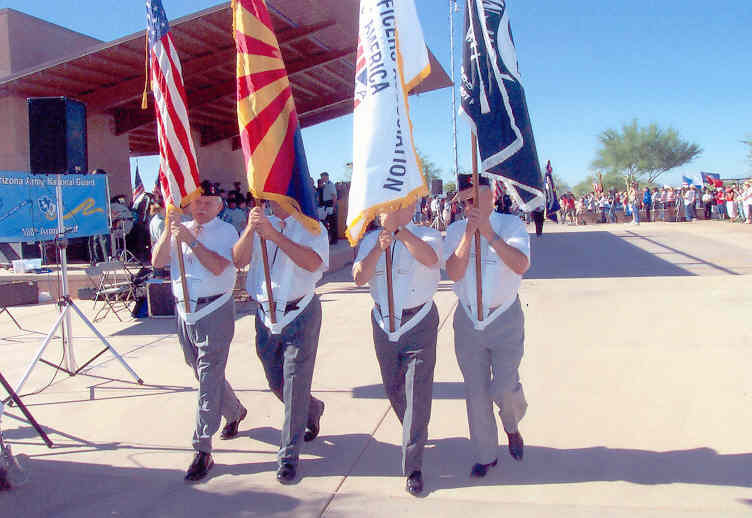 The Arizona Chapter reported for duty at the National Cemetery for another spectacular Memorial Day. Chuck Schluter laid the MOAA wreath and Dan Conway, as President of the Arizona Council of Chapters, had a place on the grandstand. MOAA Color Guard for 2004 was Terry Tassin, Tom Houser, Chuck Schluter, and Ron Green.